For the past 10 years, the University of UCO Bretagne Nord has been organising a cosmetic innovation competition for students. Open to all schools in France and around the world, this competition aims to professionalize as much as possible the cosmeticians of tomorrow. 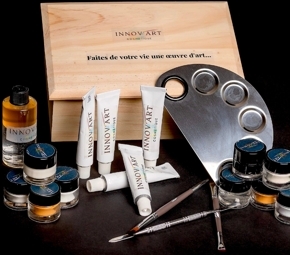 For this new edition, the participants worked on how art inspires cosmetics and presented their projects on March 21, 2019 in Guingamp. As usual, the jury of the U’Cosmetics competition awards four prizes: one in the “Innovative Concept” category and two in the “Innovation Formulation” category. The only difference this year is that this year, more than “Coup de Cœur du Jury”: this distinction is named after Philippe de Collas (in homage to this emblematic teacher from the UCO Bretagne Nord) and is open to the vote of the entire public present on this day. This year, 10 teams were in the running for one of the four prizes. Each of them was able to pitch their project on stage. An opportunity for all participants to be noticed by experienced professionals in the cosmetics industry. Emily Tooz-Hobson and Cécile Remy (University of Montpellier). 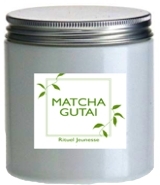 *“Proposal of a”Matcha Gutaï Youth Ritual" box set composed of a “Youth Body Cream” and the “Energizing Cure” of three days based on concerted juice. Both products contain matcha tea. Innovative concept combining inner and outer beauty. The consumer applies a product containing the same ingredient to his skin as he will ingest. Development of a beauty ritual inspired by the ancestral Japanese matcha tea ritual.“* The two creators go further in their project. For the experience to be complete, they would like to open a concept store where consumers can buy their products, taste the juices and also enjoy a Gutai art exhibition. A real Japanese immersion! Mélody Cezard, Marie-Anne Buyck, Kezia Wibowo and Lucile Bouissou, from (UFR de Pharmacie de Montpellier). Like a painter who composes her own colours on her palette, the consumer is invited to create the shades of her make-up herself, then she is free to apply it with her finger or brush. “The theme seemed very broad at first,” says Mélody Cezard. “We then thought about the trend of personalized cosmetics.” The young student and her teammates were also inspired by the Papuan tribes and their ritual make-up. “We wanted to allow our users to become their own work of art, they are the canvas and we provide the colors,” she explains. The creators Sandra Thetas, Mathilde Oriac and Mona Anhichem (Institut des Sciences et Techniques de l’Ingénieur d’Angers). 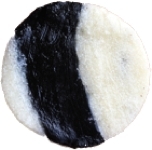 For this project, the team from Angers was inspired by the Clear/Obscure technique, which can be found by observing the black and white veins of the product. In a global approach, they chose to respond to the theme by using the expertise of an artist to design the packaging. They called on the designer Lucile Viaud, who is working on the development of co-products in the fishing industry. By making this choice, the Ostracare team has created a common thread between the product and the packaging. She also highlighted the know-how of a French artist involved in environmental issues. These are all trends that are important today in the cosmetics industry. Lisa Le Guider, Audrey Blanchard, Manon Eidesheim and Lisa Frade Miguel (UCO Bretagne Nord). Who doesn’t know Banksy? The sulphurous street-artist has recently made a name for himself by having one of his works self-destructed after his auction. The Capill’art team has therefore decided to use these codes for its participation in the competition. It is a red hair mask (to take the colour of the balloon from the canvas). If the concept seems simple, the surprise lies in the packaging. “Our product is destroyed at the exit, it is up to the consumer to emulsify the gel and balm to create his hair mask,” Audrey Blanchard explains. At the end of this competition day, the theme of the next edition was revealed. The next participants will have to consider the issue of cosmetofood!